Baker Mayfield took ANOTHER jab at Hue Jackson … AND joked about a crotch grab that got him suspended — and it all went down in a video skit with Peyton Manning‘s bro. Baker went on Cooper Manning‘s “Manning Hour” — a FOX NFL Sunday skit … and while he was “cooking” up a cake — he took a jab at his ex-coach while praising his current one. 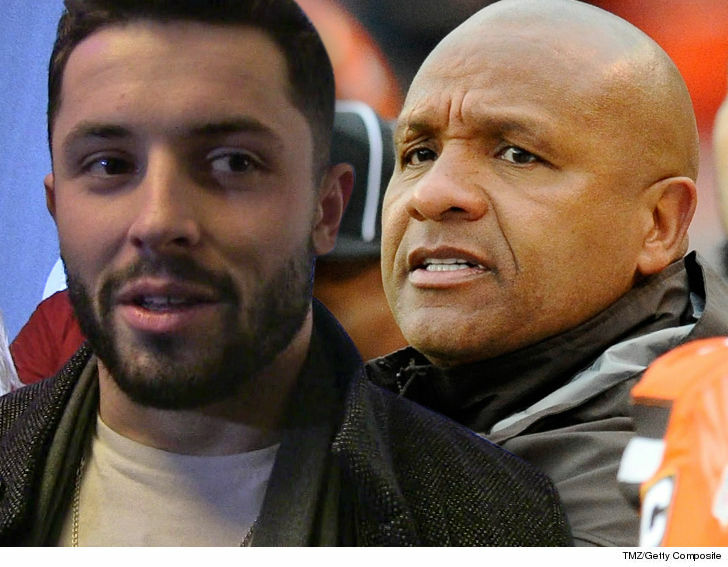 Of course, Mayfield and Jackson have had a longstanding beef ever since Hue bolted for the rival Bengals after being fired from Cleveland back in October. There’s more … Mayfield also mocked a sideline crotch grab that earned him a suspension back when he was a QB at Oklahoma. This ain’t the first time this month Baker’s mocked an issue he’s had in the past … he also laughed off his Arkansas arrest in a Fortnite stream last week. It all makes us wonder once again … is Lincoln Riley laughing yet?? ?